Talk Talk were an English musical group, active from 1981 to 1991. The group was part of the English new wave movement that included bands like Duran Duran and had a string of early hit singles including "Today", "Talk Talk", "It's My Life", "Such a Shame", and "Dum Dum Girl". 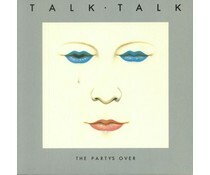 Always uncomfortable with the requirements and pressure of the pop industry, Talk Talk moved away from synthpop toward more experimental music in the mid-1980s. A few more singles, including "Life's What You Make It" and "Living in Another World", achieved success in Europe and in the UK, but their commercial appeal receded quickly as their critical reputation increased. Their final two albums, Spirit of Eden and Laughing Stock, were highly acclaimed and remain influential to experimental alternative rock genres, especially post-rock. 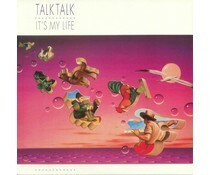 25 years after the release of what The Guardian called their masterpiece (1988's Spirit of Eden), Talk Talk was still praised as a classic example of a band refusing to compromise its art to commercial pressure.